So last week I happened to pick up a copy of Extermination, an old PS2 title from the early days of the console, a survival horror game. This year I've been a lot more interested in trying to look into old games from consoles that I never really got a chance to play when they first came out for whatever reason, predominantly horror games. Having read up a little on the game I was interested to find out that some of the people who worked on it had also worked on Resident Evil, something which some actual playtime with the game confirmed for me. 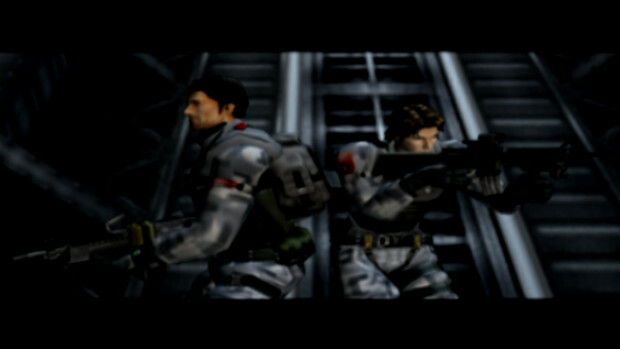 Though it's not Resident Evil, it has a fair few of the tried and tested mechanics of the early games. 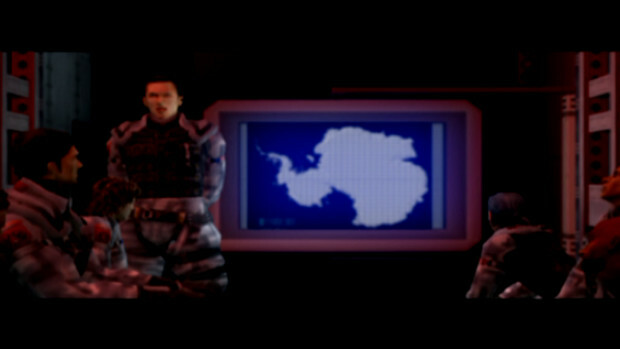 That got me thinking again about the mechanics and tropes that help define Survival Horror, I've written about this before but I felt as though it could be interesting to write about again, especially considering how much there is to talk about. And hey, it's not like I've ever said I wasn't a broken record on the subject, right? 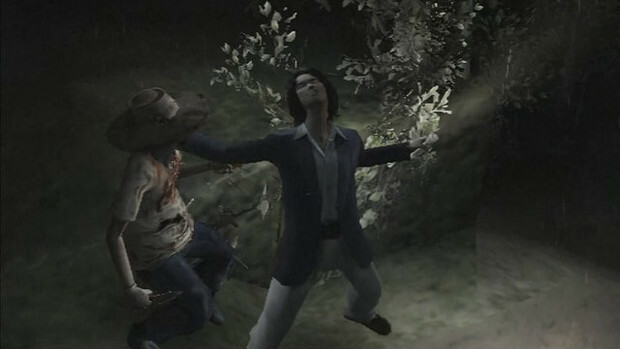 First and foremost I think perception of challenge in survival horror is important; not challenge in the sense that everything in the game must be hard to do necessarily, but rather the game must feel like a struggle of sorts. The player has to feel as though they're fighting an uphill battle as they play, they have to feel that they're going against the odds, and surviving through some combination of luck and skill. Though we don't often think about it a whole lot most games are centred around the premise that you have power, or that you will have power, incredible power. And because of this they tend to fall into more action movie territory in terms of the kind of engaging experience you have. 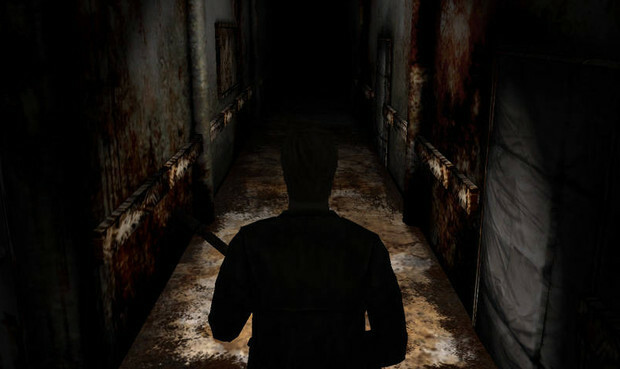 Survival horror necessarily has to try and oppose that if it's going to have any effect on the player � and note that the game doesn't necessarily have to be literally difficult or set large-scale obstacles in your way, it's more that the player has to feel challenged, they have to feel as though there's no surefire, easy way to solve their problems. Otherwise the game will lose it's sense of tension. Good examples of this are Forbidden Siren (just Siren in the US) and Resident Evil: Code Veronica. 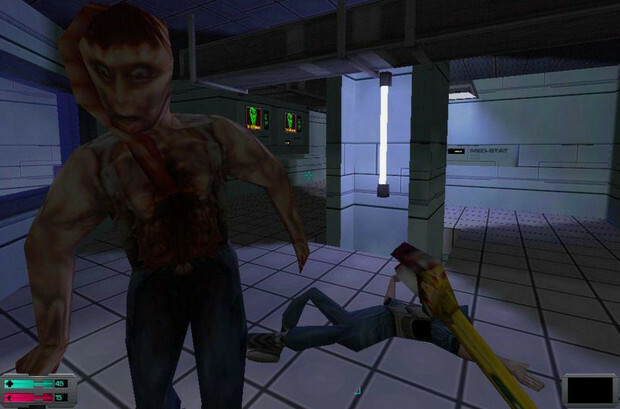 The Siren games feature purposefully clumsy controls, slow-moving, weak characters, they poorly handle firearms (the few there are) and are mostly useless with hand weapons. As such you as the player are forced to be a lot more careful about how you play, which keeps you on your toes. Your overall goal in Siren is never to 'win' or to succeed in some dramatic fashion, you're not launching a nuke or saving the world, you're just trying to survive, but the player's perception of how difficult that task is, given the gameplay, is in part what makes it scary. Code Veronica (and infact many of the earlier Resident Evil games) is(/are) a good example of the other way that perception of challenge can work, though the game can be challenging and difficult at times it's largely designed to be a smooth ride (atleast smoother than Siren), and the tasks you have to do to complete the game are relatively simple, but the nature of the way the tasks are presented in the game is such that you as the player are made to feel that you're near enough the last survivor and that each sequence of events, each boss battle, is you surmounting ever larger obstacles, as still even larger obstacles are placed before you. In both games you have the perception of challenge, but each handles it differently, with Siren the challenge is in the actual gameplay, your goal is relatively simple (to survive) but made difficult by the gameplay. With Code Veronica the challenge is more about how the narrative portrays your tasks and their scale, more than the difficulty of the gameplay. More generally speaking it should be pretty obvious to say that if the ghosts you're fighting, or the werewolves you have to sneak past to end the level, don't pose any threat, and don't make the player feel afraid, then there's not going to be any sense of tension or danger, and hence no fear. Realism is kind of a big part of that. 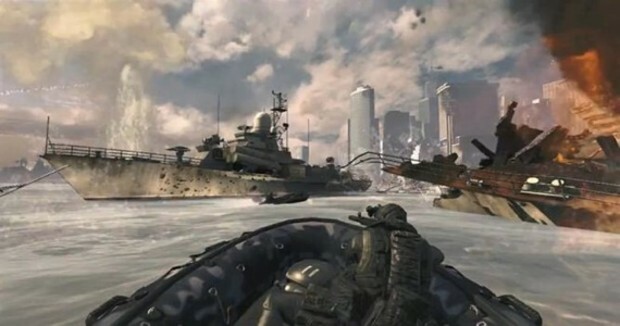 Though we don't tend to think about it a whole lot, a lot of the games we play are very unrealistic, and that's not just a reference to the obvious stuff � like Mario or Sonic, but also more generally to games like Modern Warfare or Uncharted. True those games may have a high level of visual fidelity, but you do play as characters capable of absorbing large amounts of gunfire, who are often capable of feats of inhuman skill, dexterity or strength and seem almost 'unique' in their ability to avoid death. Not to say this is necessarily a bad thing, just that it's a fact about the games we play. Recharging health, respawning supplies (and enemies), boss battles, high scores, even stuff like cutscenes or how attractive videogame leads are, are some distance away from reality. There's a point to all this though, which is the enjoyability factor. A lot of these concessions to fantasy are made because we want the game to be fun, we want a smooth ride, and we want an experience that feels empowering in some way. Like in an action film, if the lead character got (realistically) cut down by the first group of thugs he came across it'd be a pretty boring film, and over very quickly. He (or she) has to do inhuman feats because it's the fantasy of it. With games, different sorts of concessions are made to fantasy, with characters being bullet-sponges, capable of using firearms or heavy weapons with little or no training, recharging health, etc. It's also to some degree an acknowledgement of gaming's less technologically sophisticated origins, and also how complicated it would be for games to have 1-for-1 control systems, but that's less important here. And note: again, this isn't necessarily a bad thing, but the point is that with survival horror that distance between reality and fantasy must be considered carefully. You may want your character to be able to pick up a grenade launcher and take down groups of zombies but would letting them dropkick the zombies across the level be empowering them too much for the type of horror game you want? It's very much a balancing act between the type of fun you want the player to have, and the type of story you're telling. You obviously don't want the player to be bored, but you also don't want to make them too powerful, in-case it ruins whatever tension and atmosphere you've created elsewhere in the game. Again, using Forbidden Siren and Code Veronica as examples. Siren made you weak, made you relatively incapable of using any weapon with any competence, and because of this it's punishingly hard at times but it's fun and very scary. The fact the gap between reality and fantasy in the game is so small makes the horror come alive in a sense. 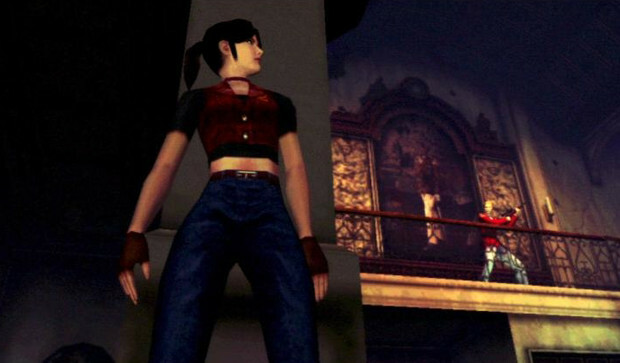 Whereas in Code Veronica (and indeed all of the Resident Evil games) there's a definite edge of unrealism � Claire's ability to fit an ample supply of herbs, small arms and even a rocket launcher into those tight pants is the stuff of legend. It's unrealistic but for the type of horror experience the game is trying to create � i.e. a sort of action-movie-esque one, it wouldn't do to have the main character (realistically) having to carry around a huge backpack and wearing body armour. It's also obviously unrealistic that Claire could get bitten or injured as much as she is during a zombie apocalypse and go onto to survive and be healthy, but it's a concession to the type of experience they're going for. Because the game is about fun at the end of the day, and the realism is just there to facilitate that entertainment more than anything. 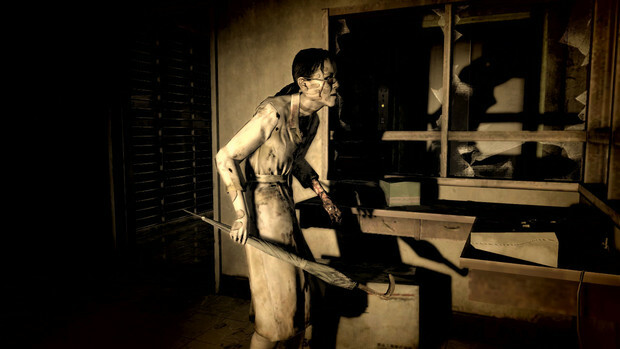 With survival horror the emphasis on realism is paramount, sure like with an action movie or an action-anything your character may have moments of superhuman ability, but more generally they have to be shown to be fallible, to be just human, if you want the player to be scared. I think a good example of how to look at how it works from outside of horror is the difference between playing multiplayer in a game like Modern Warfare and a game like Counter-Strike. Sure in Modern Warfare things can get tense but the almost instant respawns, the plentiful ammo and the (relatively) high health mean you don't worry too much about dying. 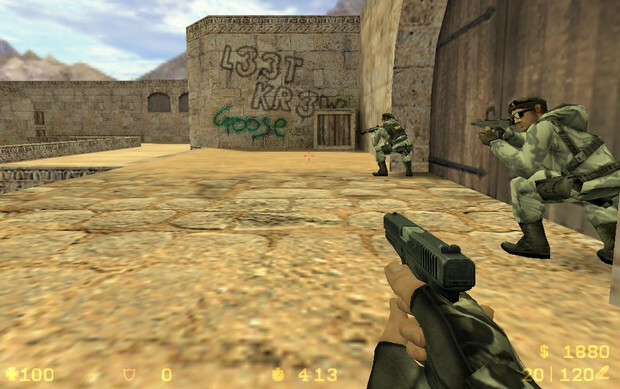 With Counter-Strike things are a lot different, you can die in just one shot if you're not careful, you often don't have much ammo (unless you've been playing for awhile) and you don't instantly respawn. You have to consider your actions a bit more, and because of that the experience is a lot more tense and can involve a lot more forethought. A good survival horror game tries to give you that same feeling, it just tries to scare you at the same time. 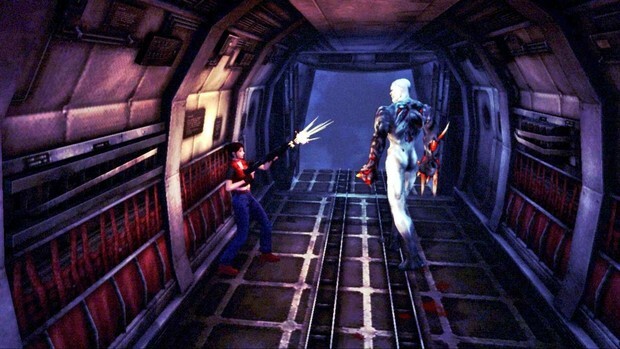 I think it goes without saying that most people know a big part of survival horror is limited ammo and supplies, and it's a point worth making again. It's not just about limited ammo though but also about ammo and supply placement, and the way the gameplay is set up to encourage scrounging and to make the player feel as though they're lucky to find any supplies. A good example of this is System Shock 2, where any large supply caches (only relatively speaking, you don't tend to pick up all that much ammo) are hidden away in boxes or at the back of storerooms. The enemies you do fight don't tend to drop much, so in many respects it's better not to fight (given the cost in health and other supplies there is to fight); and you spend much of the game weighing up whether it's worth the fight or whether you should try to sneak or run past an enemy. 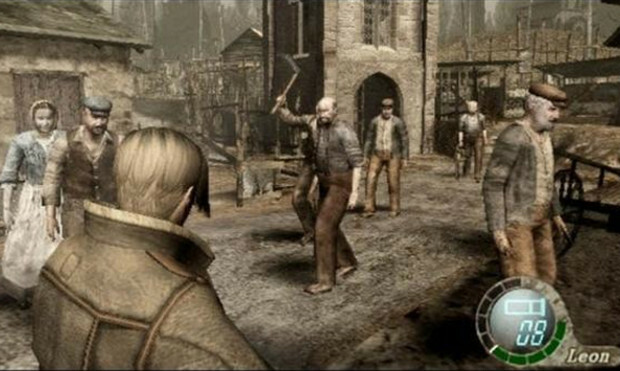 I think part of the reason why Resident Evil 4 and onward (5 and 6) don't really work very well as true horror games is partly because of how they monetise combat, they make it profitable to kill enemies, to get more ammo and supplies, rather than encouraging the player to avoid combat so it's less scary. If you have to worry that you might not be able to find anymore supplies if you use them up fighting then you think more about what you're doing, you weigh your choices more. It's also worth noting that how you fit those pick-ups into the game world has a big effect on the player's perception of the game. For example, if your random Spanish villagers drop submachine gun ammo or grenades (something real Spanish villagers don't do when they die, trust me, I've tested it) it does take away from the sense of realism somewhat. 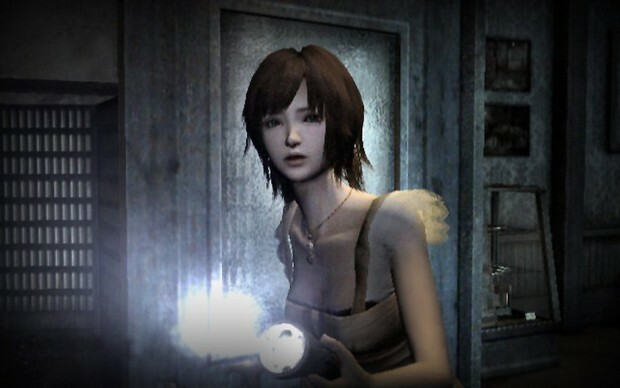 For the most part if you want your survival horror game to feel real then where the player picks up and finds those supplies has to feel real too � that means putting ammunition where one might expect to find ammunition, healing items where you might expect to find healing items, etc. I've talked about atmosphere a lot before so it probably doesn't need expanding on a whole lot, but needless to say it's important that as you play a game that you feel a certain way: the environments you wander through, the situations you find yourself in, they all have to provide a certain kind of response, and note: this doesn't have to necessarily be about scaring the player shitless, but rather more about unsettling them. It's often better to be very subtle about the way you create atmosphere aswell, dead bodies hanging from walls have their place, but you might want to make the uncomfortability more subconscious � a broken window here, a smeared bloody handprint there, spent shell casings on the floor maybe. The point is to infer a story to everything, and let the player's mind fill in the blanks. Because frankly, their imagination is probably the scariest tool you have. Long walks down quiet corridors, exploring empty rooms or moments where you have to backtrack are often good for this. 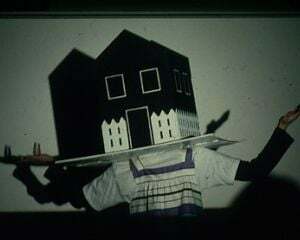 You don't necessarily need to have something jump out at you, indeed sometimes it's better to just throw a few red-herrings the player's way � have a window randomly break with no consequences when the player's nearby, have a monster growl in the distance, have a door slam shut. Whatever makes sense to the type of story you're telling. Build-up and tension is a big part of making horror work. Sort of leading on from that is a sense of forethought to the world you create in the game. Again, this is one of those things that I think doesn't get talked about too much in games, we tend to focus on the foreground elements a lot, but in horror games it's often the background that's most important to the effect you have on the player. I think with horror, and particularly survival horror, you need to set the scene, you need to create environments that feel lived in, with characters and enemies that feel like a realised part of that world � this can be anything from having a table cluttered with personal belongings, to having a corridor smeared in the bloody hand prints of recently deceased scientists, to a security guard-turned-monster who still has an identifiable ID tag on the tattered rags clinging to his chest. Again, it's part of atmosphere, tension and build-up, it's important to establish a sense, even if it's just subconscious for the player, that the things in the game world relate to each other in a real way. 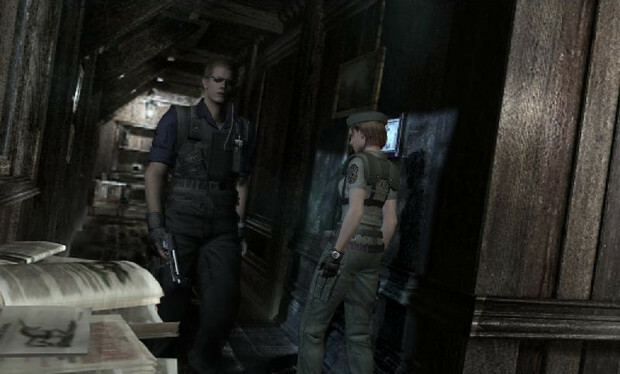 Part of the reason why Resident Evil for the GameCube worked so well was it's attention to detail in the environments and backgrounds, everything felt a part of the story and that helped immerse the player. 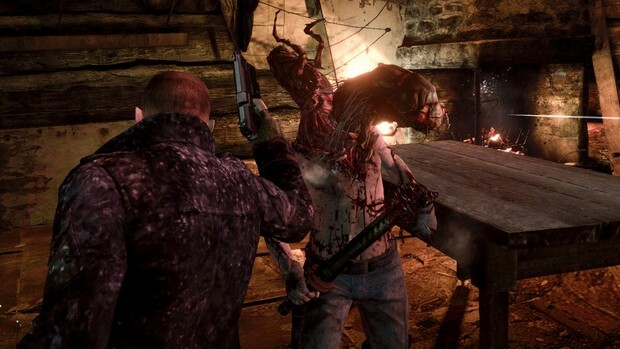 Siren: Blood Curse is another good example of this � I think the game has 1-for-1 unique zombies, and each environment has obviously seen a lot of attention to detail, with a lot of emphasis put on making them feel like really lived in rooms before the apocalypse. 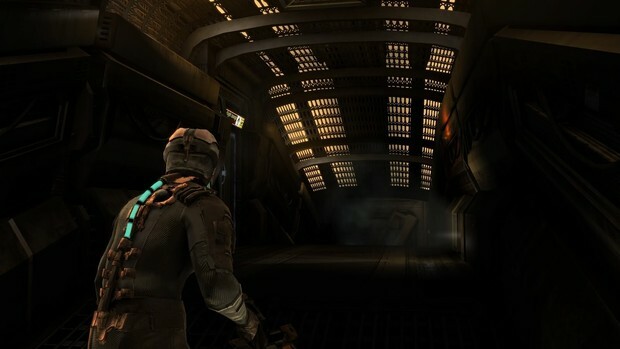 It's not about running through a series of empty, box-shaped rooms but rather realistic-seeming environments. So as the player you get this sense that you really are in this zombie-apocalypse village, trying to escape, and that in turn heightens the fear. Though I don't have a whole lot that I can say about it, I do think music is also key. Music can play a huge part in the atmosphere a game creates, and as such it should always be an important factor. One of the more interesting ways I've seen (heard) it used was in Silent Hill 2, where in the background you can often hear what sounds like *something* without really knowing what's there. It creates a sense of dread and anticipation for a completely imaginary danger. 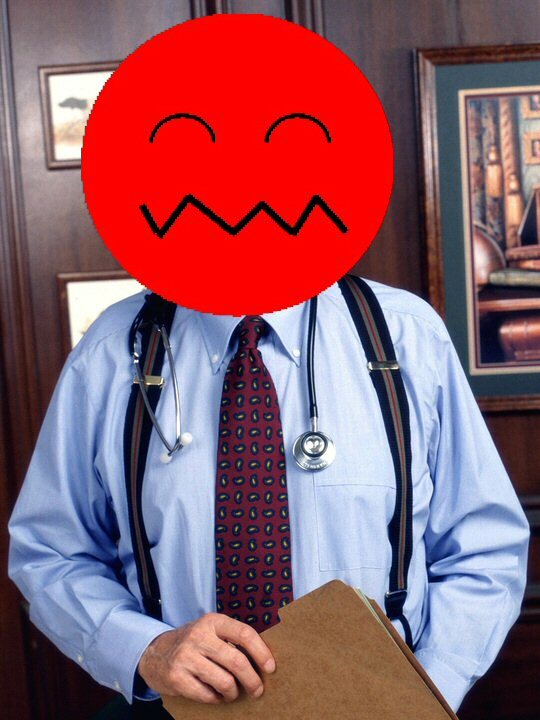 That's more direct, because it makes you feel as though there may be enemies about, even when there isn't, but even just background music can have an effect on the mood, if you quicken the pace of the background music while the player walks down a corridor, how will that change their mood? Will it make the game more or less tense for those fleeting moments? Horror is often as much about confusion as fear - as the two are linked. Silent Hill 2 is a good example of a game knowing that and using its music to that end. Something else I did want to mention that I think doesn't often get mentioned is the random element, or the unpredictable. It's not often something that comes up in a lot of games because it's too much effort to implement but part of what makes us so scared is not knowing what's ahead. If we don't know what's ahead we can't be prepared. Hence why a lot of games stop being (as) scary when you replay them. Once we know where the monsters are coming from we can know how to prepare for them, which makes them less scary. 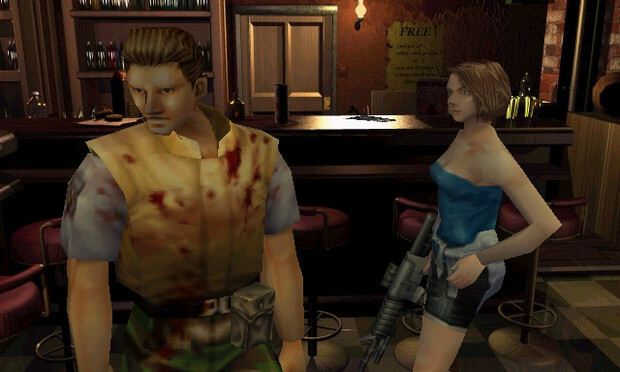 Though I can't think of a proper example of a survival horror game that randomised enemy locations I think, funnily enough, Resident Evil 3 is the game that really solidified this principle for me. Though it only does it in a limited way the locations of supplies randomly shifts between playthrough, and though you can know roughly where they'll be you won't know for sure till you check the rooms where the supplies randomly pop up. Resident Evil 3's a pretty easy game, so apart from making speed-runs slightly more troublesome it's no big deal, but applied more generally random or unpredictable events, supply locations and enemy spawn points could have a big effect on how we play, and increase the sense of tension, as we lose our certainty about where we're safe. And since Extermination and Resident Evil started this off, how about some runner-ups when it comes to what makes survival horror survival horror, huh?